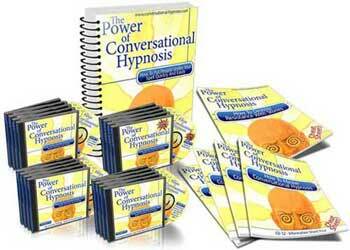 A key tool as hypnotists is the language you will use. It is very important to understand how vital it is for you to master the language and use it as a power foundation with your subjects. Language and how you use it will create a solid base for putting people into an altered state of mind. The main objective in hypnosis is to have the ability to help people change their lives and this is accomplished through influence and persuasion to do certain things. Without the right language and skill you will struggle with accomplishing these goals. The ability to use language to create an altered state of mind is key. Altered state of mind is defined as a special state of awareness in which the subject focuses on certain ideas and excludes other ideas from that focus. In this definition the meaning is that whatever a person is focusing on exclusively becomes real to them. It is important to remember that within each human the will and imagination are always conflicting. It is equally important to remember that the imagination will always win this battle. In order to use this information in your language arsenal it is important to make direct contact with the imagination and lay your suggestions there. Using language to zero in on the outcome you are striving for requires you to get people into a good ‘focus of attention’. This is one of the first concepts that early hypnotists discovered was responsible for causing trances. When you can accurately get and maintain the focus of a person they will often enter a trance for you. After this has been accomplished you will be the tour guide of their trance. It is your responsibility as the hypnotist to lead them on an unforgettable journey into and through their trance. You will be influencing them to focus their attention on thoughts and ideas that will help them to arrive at their desired outcome. The arrival there will fulfill their purpose in changing behaviors to match their goals in life. Now as we continue through this article you will learn how you do this. How do you create that powerful foundation of hypnotic language? The first stage in this is to create an unbroken flow of ideas. This responsibility is all on you as the hypnotist. This flow of ideas should run smoothly, it should be practiced. The words you speak should be fluid, comfortable, enjoyable, and pleasant. Keep your listener wanting to hear more. There should be no words or ideas that cause your listener to want to stop your flow of language. There are ways to accomplish what I have just explained. If you exercise these 4 principals you will begin to master the key tool in conversational hypnosis. The first principal you must apply is to create verbal agreement with your subject. In order to do this the listener must be able to in some way agree with what you are saying. They do not have to literally say yes to everything you say but something inside of them has to recognize at some level your statements are true for them. Part of this agreement is in you and your speaking. Your thoughts must flow easily without hesitation or disagreement. When you accomplish this you are much easier for your listener to follow, it is easier to come to agreement if things do not have to be thought out or deciphered. 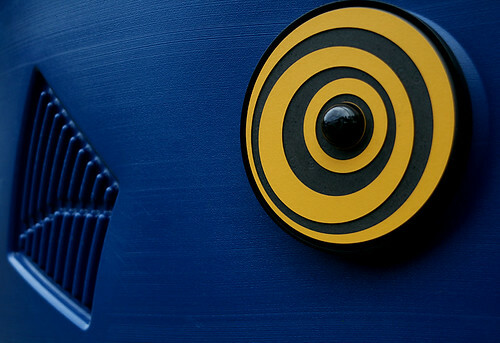 The second principal to apply in your hypnotic language is ‘patterns and plausibility’. In order to know the amount of work you need to do here it is important to remember the signs of trance. Once you have determined how deep in trance your subject is you will know how plausible or implausible your statements can be. The deeper in trance the person is the less plausible your statements can be. In the ‘patterns and plausibility’ principal you will start with agreement. Make statements that your subject must agree with simply because they are truth. You can use the weather outside, the time of day, subjects color of hair; anything that is a verifiable fact. After the person in trance has heard several true statements you will want to add a statement that may or may not be true. This new statement only has to be plausible enough that they will follow along with it because it is easier to agree than to argue the possible disagreements. In this way the habit of agreeing to the true statements will sneak past the conscious filters that say it may not be true. Once you are past those filters the statement will then start to become true for them. After the first two principals have been successful, you can start to work on the third principal; piggy back suggestions. The idea behind piggy backing suggestions is that you can adequately relate ideas or statements that may not necessarily be connected. This again requires smoothness to your language, there needs to be no breaks in the conversation so there is no time to recognize the un-connectedness of the statements. Another advantage that piggy backing suggestions give is the ability to make comfortable transitions between thoughts and ideas. If you apply this principal correctly there will be no work involved for your listener, it should be an easy experience of transition through new ideas. And finally the fourth principal of linguistic bridges is applied. Linguistic bridges are simply conjunctions that permanently connect two sets of information together. When you use linguistic bridges well the thoughts and ideas you are connecting will run through the listener smoothly. One way to do this is to use the 4 Words of Power. The 4 words of power are four conjunctions that act like linguistic bridges. These are key in tying together hypnotic themes and help in cementing those ideas together in a nice package. Mastering the 4 words of power will give you the ability to create an endless variety of content and new hypnotic inductions. So what are those 4 words of Power? As. And. Because. Which means. These 4 words will give you the ability to piggy back a vast variety of statements and thoughts. The way that these words work is to create a smooth way of communicating all the suggestions you want in a way that your subject will respond to hypnotically. The 4 words of power are easy to use as you practice them you will see you can fit them easily between themes and connect statements that may otherwise seem un-connectable. They will make many statements seem more plausible and will add a new rhythm to your speaking. There are a variety of other linguistic bridges that work much like the 4 words of power and as you learn them you will see your full capabilities in this area of conversational hypnosis. With the use of the 4 words of power and these other linguistic bridges you will experience a wide range of fluid expression. There are lists of the linguistic bridges available and it would be an excellent idea to memorize these powerful words to use as tools in your language. The lists available for the linguistic bridges are great for learning to incorporate them into your speaking when you have the list with you. You can also purchase a Street Hypnosis Deck, which is a deck of illustrated cards containing words on each card. This is a great way to carry the linguistic bridges you will be using so often with you.